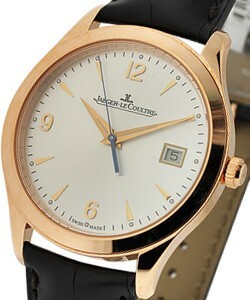 The history of Jaeger LeCoultre goes back over 150 years ago. 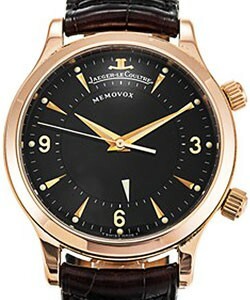 Jacques LeCoultre was a leading supplier of watch parts and movements to many of the biggest Swiss Watchmakers such as Vacheron, Audemars Piguet, IWC, and Patek Philippe. 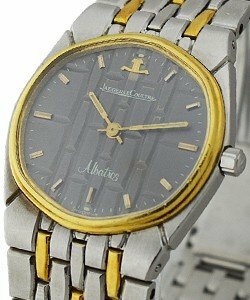 When LeCoultre joined forces with Edmund Jaeger, the company went a whole new direction. 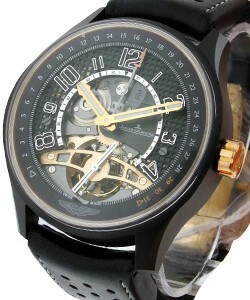 They introduced their own line of watches -- manufactured completely in-house. 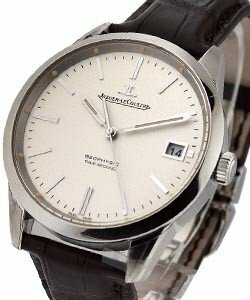 And to this day, Jaeger-LeCoultre is one of the few companies in Switzerland that still produces its own movements, cases, dials, hands, and bracelets. Virtually every single component in a Jaeger-LeCoultre watch is hand-finished, produced in-house. 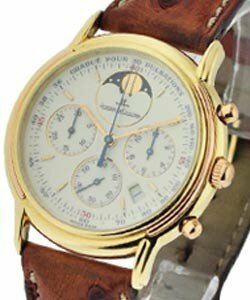 In 2000 Richemont (Cartier, Baume & Mercier, Piaget, IWC and Mt. 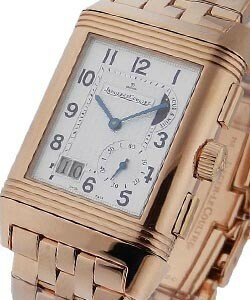 Blanc) acquired Jaeger-LeCoultre. 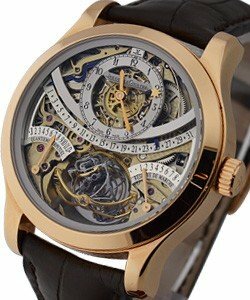 Jaeger-LeCoultre (AKA 'JLC' or 'Jaeger' ) has created over 350 patented inventions that have contributed to the progress of Swiss Horology, and has a long tradition of supplying movements and parts to other prestigious Swiss Luxury Watch Companies. The watchmakers at JLC Watches have always created each model based on their belief that the outer beauty of their pieces must reflect their perfect inner workings. 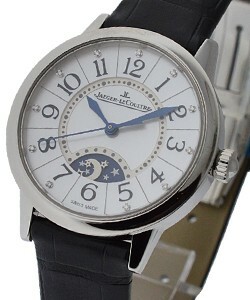 Jaeger-LeCoultre's most famous luxury watch, the 'Reverso' was created for English Polo and it rotates a full 180 degrees, protecting the watch's dial from the possibility of damage. 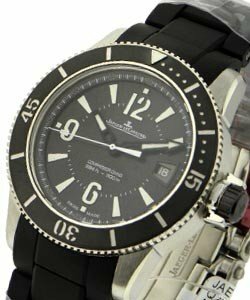 Also, when the case is inverted, it exposes the watch's reverse side, so 'Reverso' offers more than just one look. 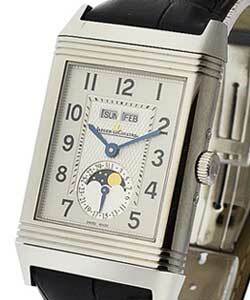 The 'Jaeger-LeCoultre Reverso' is an extremely sought-after piece, and not just with luxury watch aficionados; its pseudo Art Deco-look and rectangular shape has also made 'Reverso' a hit with the style and fashion-obsessed. 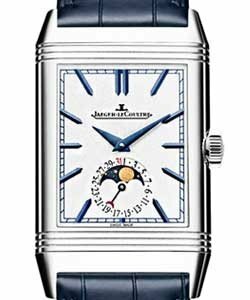 The 'Reverso' is considered an iconic luxury piece, accounts for approximately 80% of all Jaeger-LeCoultre timepieces produced, and is universally regarded as a horological classic. 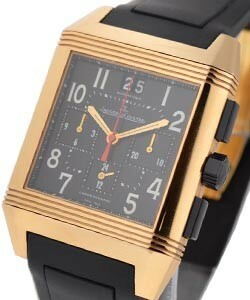 Additionally, 'Jaeger LeCoultre's Reverso' is the longest running watch model in the world. The 'JLC Reverso' line, is available in four different collections: 'Reverso Complication' features the following complicated models: 'Reverso Grande GMT', 'Reverso Grande Date', 'Grande Reverso 986 Duodate', 'Reverso Grande Sun Moon' and 'Reverso Duo'. 'Reverso Classique' features simpler, classic looking 'JLC Reverso' models: 'Grande Reverso 976', 'Reverso Grande Taille', 'Reverso Classique', and 'Reverso Lady'. 'Reverso Classique' watches are beautifully versatile watches, suitable for those needing a great timepiece for both work and afterhours. 'Reverso Joaillerie' features Jaeger-LeCoultre jewelry-like pieces: 'Reverso Duetto Duo', 'Reverso Duetto Classique', 'Reverso Duetto' and 'Reverso Lady Jewelry'. 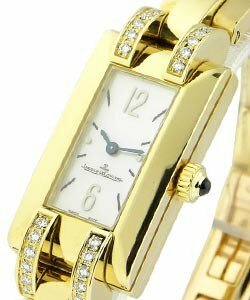 Jaeger-LeCoultre 'Reverso Joaillerie' luxury watches are elegantly crafted, very glamorous and feature numerous sparkling diamonds. For the more active man or woman, 'Reverso Squadra' features JLC's more sporty 'Reverso' models: 'Reverso Squadra Chronograph GMT Palermo Open', 'Reverso Squadra World Chronograph', 'Reverso Squadra Chronograph GMT', 'Reverso Squadra Chronograph GMT Black', 'Reverso Squadra World Chronograph Polo Fields', 'Reverso Squadra Hometime', 'Reverso Squadra Hometime Black', 'Reverso Squadra Lady Duetto', 'Reverso Squadra Lady', 'Reverso Squadra Lady Automatic' and 'Reverso Squadra Classic'. 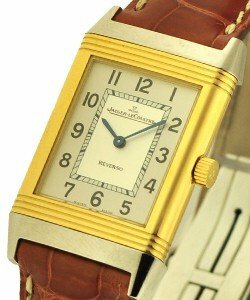 'Jaeger-LeCoultre Reverso Squadra' watches clearly differ from other JLC 'Reverso' pieces, as their cases are square, rather than rectangular. 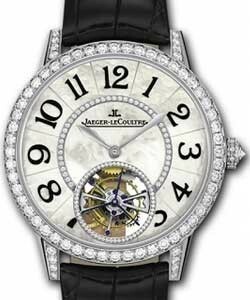 Handsome and bold, Jaeger-LeCoultre 'Duometre' timepieces are highly respected and desired Jaeger-LeCoultre watches. Combining functionality, quality, and artistry, these 'Duometre watches' combine cutting edge technology and artistic design, which culminate into two flawless models; the 'Duometre a Quantieme Lunaire' and the 'Duometre a Chronographe'. A true masterpiece of intricately crafted mechanics, the 'Duometre a Quantieme Lunaire' (ref: 6042420) is a new version of the 'Dual-Wing' concept. 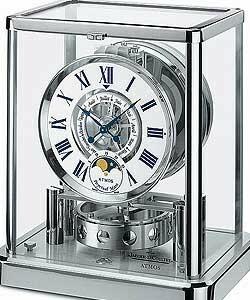 This revolutionary 'Dual-Wing' concept, features two separate power reserves, one of which, is devoted solely to accurate time measurement, while the other is responsible for the functional displays. 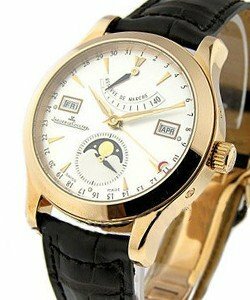 The gorgeous, versatile, and very useful 'Jaeger-LeCoultre Duometre a Quantieme Lunaire' is available in 18k Rose Gold and 18k Yellow Gold. The epitome of the perfect chronograph, the 'JLC Duometre a Chronographe' (ref: 6016490) is avail in Platinum, 18k White Gold, 18k Rose Gold and 18k Yellow Gold, all on leather strap. A true masterpiece, the 'Dual-Wing' Calibre of the 'Duometre a Chronographe' also contains two separate power reserves, one devoted solely to its extremely unique chronograph. 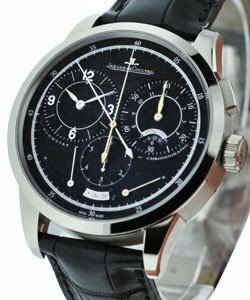 This JLC chronograph houses the following functions: hours, minutes and seconds hands.